What Should My Child's Montessori Floor Bed Look Like? One of the things that sets Montessori apart from so many other types of parenting philosophies is the floor bed. 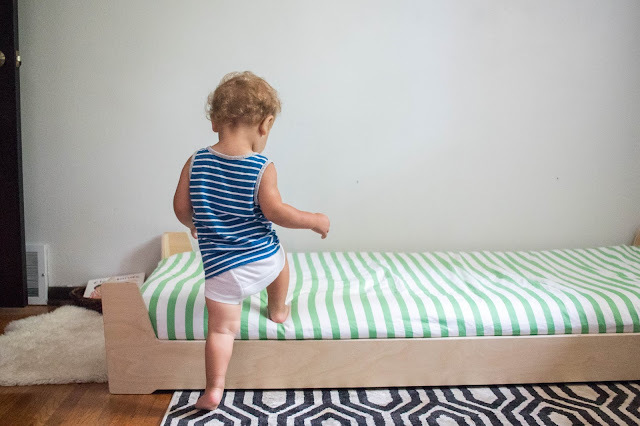 Maria Montessori was a strong advocate for protecting a child's freedom of movement from birth and that included sleeping on a low bed instead of in a crib or cot. This allowed a child the ability to go to sleep when he/she was tired and to wake when he/she was ready. She said, "One of the greatest helps that could be given to the psychological development of a child would be to give him a bed suited to his needs." But, practically, what does that look like? 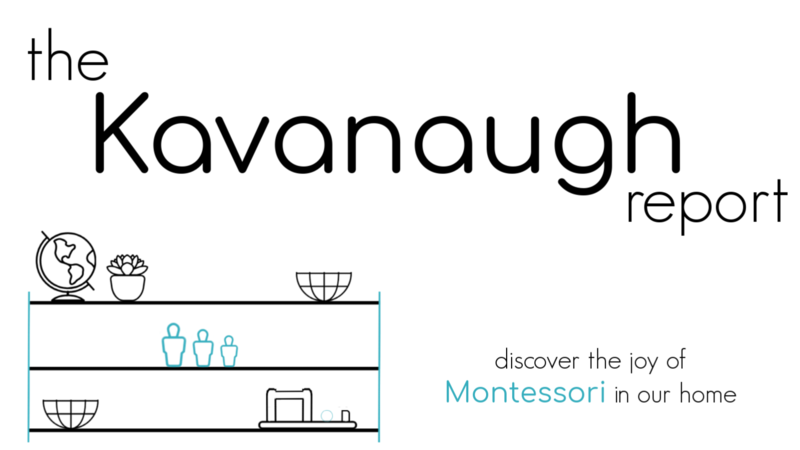 What should my child's Montessori floor bed look like? The most important aspect of a floor bed is that it is functional. A baby and toddler needs to be safe in the bed, and he/she needs to be able to get in and out of the bed with ease. Another consideration is air flow - especially if you are in a humid climate. Getting some air floor under the mattress can prevent mold. Some families may also want to consider whether rolling out of bed is a concern and if the bed should have small sides. However, you should take care not to restrict a child's ability to get in and out of bed freely and independently. A floor bed should not be a distraction. Often they are simple in order to create a calming atmosphere that invites sleep. You don't want something that will be alarming or exciting to a young child. You also don't want something that invites play. Another consideration is size. You want a bed that is large enough for the needs of your family. 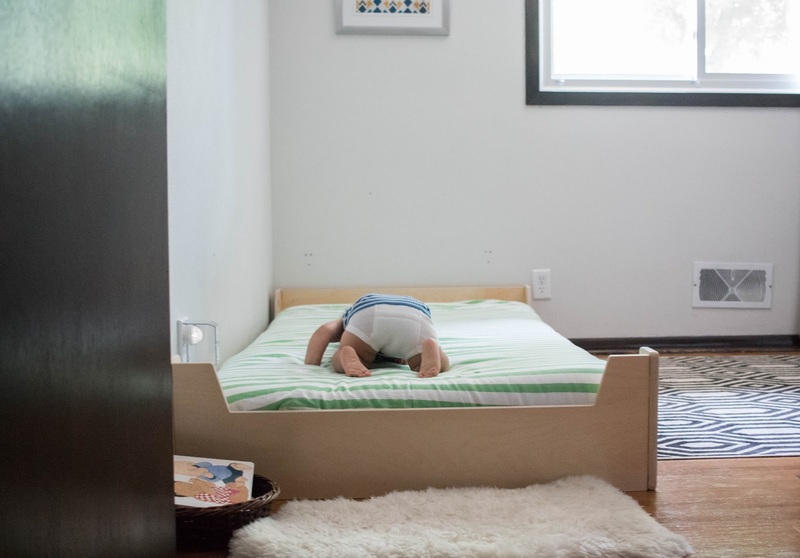 If you sleep with your child, you may want to consider a larger mattress (we recently moved to a twin from a toddler size for this reason). If you are short on space, a crib or toddler sized mattress will work fine for many children. 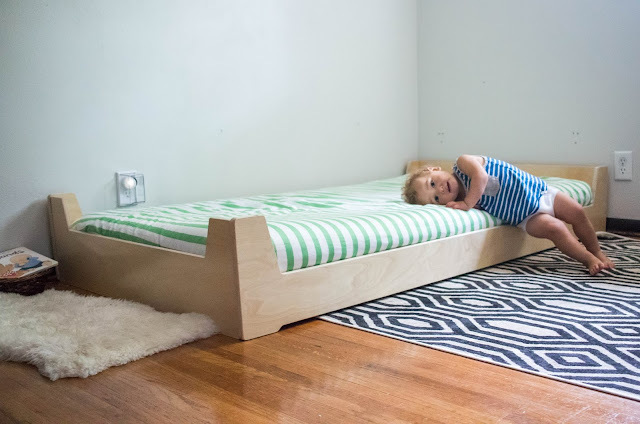 As you may have noticed, we recently upgraded to this wonderful floor bed c/o Sprout Kids! 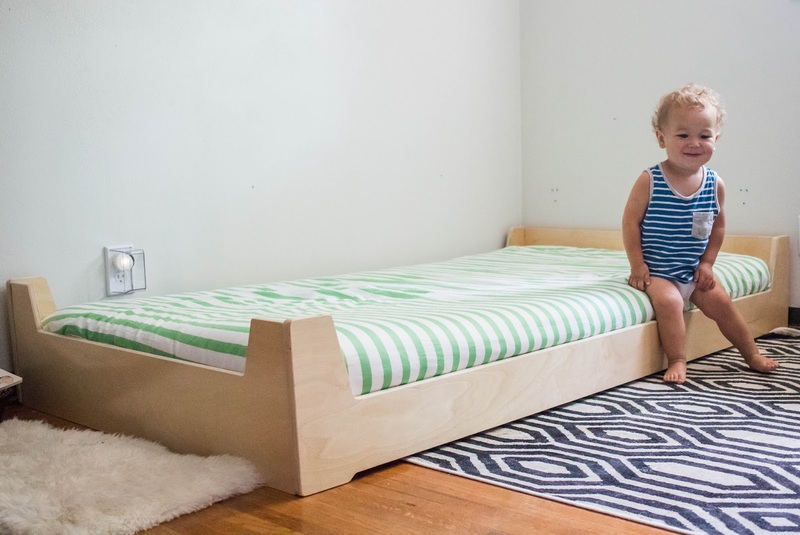 This floor bed fits everything that I could hope for in a Montessori floor bed, and more. For many months, we used a mattress on the floor, and while that was functional, it did look a bit unfinished. But, at the time I simply couldn't find a floor bed option that I felt really gave Gus the freedom to move that he deserves. Sprout Kids presale for these Montessori floor beds opens on July 13. The first 20 beds sold will be on 25% off! You can also use code KAVANAUGHFB between July 13 - July 20 for 20% off the price of any floor bed! Well, Sprout Kids came along and made this lovely bed! 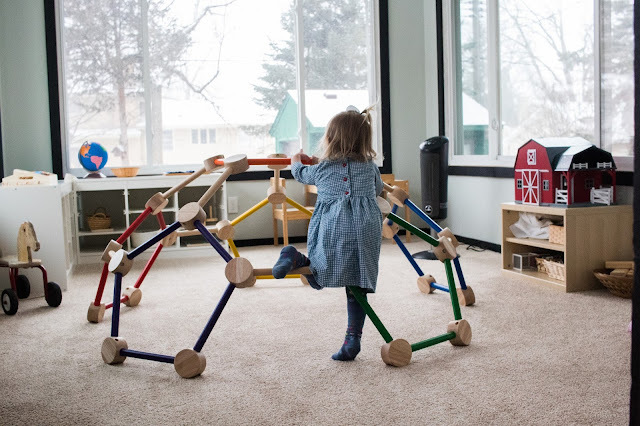 It's made in the U.S. from solid wood, it constructs super easily and quickly, and it's beautiful. Simple, while finished and polished. 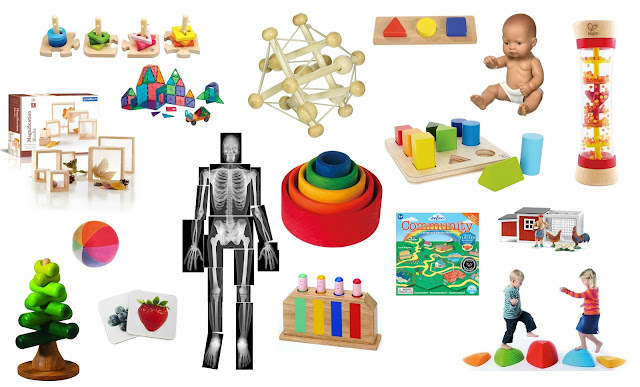 An more importantly it meets the developmental needs of babies, toddlers - and even older kids. The bed is designed to be adaptable in so many ways. Right now it's low to the ground for Gus, but a simple flip and it will be higher off the ground, serving him well into elementary school! The bed is also available in a variety of sizes (this is a twin) and comes with sides with small edges for a younger baby that you might want to prevent from rolling. Seriously awesome. Have you used a floor bed? Did you have a style you liked? I read about it. However, we tried and it is very difficult when the child has complete freedom of movement. Especially when the apartment has a lot of small details that it can swallow.I believe that such a bed needs to be done when the child already understands that you can swallow and not. 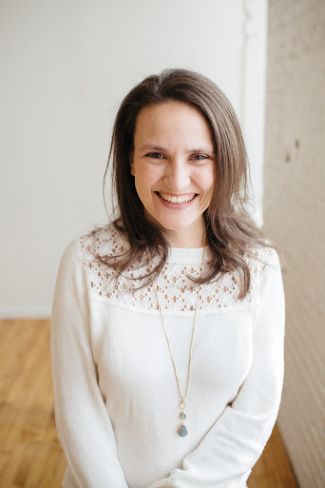 I am also an avid supporter of the Montessori method, at the beginning I tried with the mattress on the ground, and it went quite well, but then my mother's parnoia prevailed ... .. and I decided that it had to be lifted from the ground, maybe little, but relieved. We had the idea to do it ourselves, but then won the laziness and we bought Woodly's stackable floor bed, a small Italian company that makes fantastic products. We are very happy! Where did you get the box to cover the outlet?